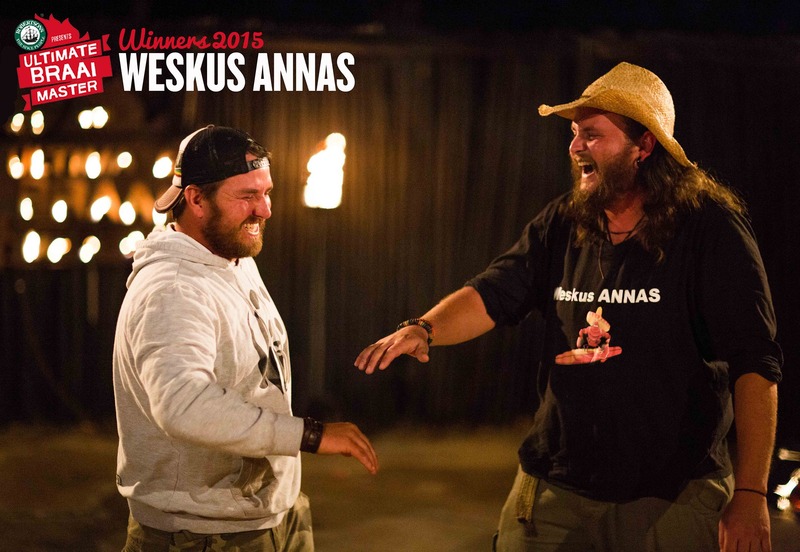 The Weskus ANNAS have claimed the title as South Africa’s ULTIMATE BRAAI MASTERS 2015! They walk away with R500 000 in cash, a brand new Suzuki SA SX4 Crossover and a trip to the USA to compete in the World Food Championships as Team South Africa, courtesy of Robertsons Herbs & Spices! The Weskus ANNAs are also proudly SASSI braai ambassadors! Seven South African chefs were announced as ‘Trailblazers’ in the 2015 WWF-SASSI Trailblazer Awards, held at The Table Bay Hotel, on Cape Town’s V&A Waterfront on Monday, 30th November 2015. Businesses with the foresight to recognise that the longevity of their businesses is underpinned by a sustainable supply of fish should be actively engaged in the protection of these resources. It is with this rationale that the Responsible Fisheries Alliance (RFA) was established in 2009. The RFA is a partnership between major fishing corporates, I&J, Oceana, Pioneer Fishing, Sea Harvest and Viking Fishing, and environmental NGOs, WWF-SA and BirdLife South Africa. The partnership is premised on the need to inform and promote responsible fishing practices within the South African fisheries sector. In lieu of the impacts of overfishing and other unsustainable marine uses, the RFA seeks to harness the influence of these leading brands to galvanise the fishing sector and drive positive change. Whilst a NGO-corporate partnership of this nature is not unique to South Africa, using this model to address environmental concerns in the fishing sector is a novel approach. In order to achieve this vision of a responsible fishing industry, since its initiation, the RFA members have invested over R 3 million in support of several projects informing ecosystems-based management to better understand and mitigate the impacts of harmful fishing practices. Some of the most notable projects include supporting the work championed by BirdLife South Africa and the deep sea trawl industry on a series of projects resulting in a 90% reduction in seabird mortalities, including a remarkable 99% reduction in the deaths of the many majestic albatross species. 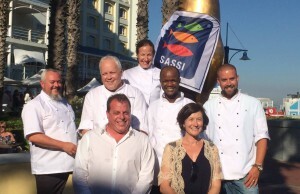 This success story is the key focus of the WWF-SASSI #SASSIstories campaign in October. The campaign enables consumers to share this success story whilst providing them with the opportunity to share their own sustainable seafood stories. The RFA has also supported research on another iconic species, the African penguin. This research is focused on populations on the south and west coasts to better understand the impact of fishing activities on these endangered species. Furthermore, the RFA has helped to initiate an important collaboration between the University of Cape Town (UCT) and the South East Coast Inshore Fishing Association (SECIFA) to develop and trial an improved bycatch management plan which considers a broader range of bycatch species landed in the fishery. Perhaps one of the most important RFA contributions has been the training of more than 1100 skippers, crew, observers, compliance officers and law enforcement officials with the skills to better comprehend and contribute toward ecosystems-based management. The training course has catalysed a greater appreciation for marine life among those that operate at the ‘coal face’ of the ocean. Coupled with these conservation gains, the Alliance has also played a critical role in fostering the co-management of fisheries through collaborative efforts between government and the fishing industry. Despite these successes, like any start-up, the RFA still faces a number of challenges. There is clearly significant potential for an organisation such as the RFA to effect large scale change but there are limitations both in terms of funding available and the extent to which the Alliance is willing and able to use its voice to lobby for change within government or the fishing industry. Going forward, it will be important for the Alliance to develop a more prominent public presence on topical issues that undermine responsible fisheries. The Alliance’s ability to better address competitive barriers will also be key to its future success. It is now well understood that environmental sustainability is one of the areas that businesses are willing to collaborate around, however, with so many different companies and interests involved, setting up effective pre-competitive collaborations such as the RFA remains a challenging task. Looking ahead, the RFA now seeks to focus on interventions that will benefit the broader fishing sector to address the challenges identified. Lobbying for evidence-based decision making, ensuring a robust marine legislative framework, promoting the application of ecosystems-based management and safeguarding sustainable marine uses from unfavourable practices have been identified as the key focus areas. Projects will be elected which contribute towards these areas of work. Whether it is to leverage off of the demand for sustainable seafood from increasingly aware consumers or for the protection of marine resources, it is clear that sustainability is central to the success of corporate fishing companies. By forming collaborative partnerships such as that of the RFA, the fishing sector will continue to build resilient ecosystems and reliable fish stocks and, in doing so, secure business success in years to come. The FishforLife programme is a national umbrella project set to launch in upcoming months. The project works with members of the recreational fishing community to gather information about their catches – even the “one that got away” to a database used to study the state of South Africa’s marine life. FishforLife is aimed at improving the knowledge base for the management of our recreational fishery resources, raising awareness about the status of key species and the value of MPAs and improving recreational fishing practices. The project seeks to draw existing initiatives together and develop a national programme for new and existing ventures that contribute to the project aims. Developed as a collaboration between WWF South Africa (WWF-SA) and research institutions, University of Cape Town (UCT), Rhodes University and the South African National Biodiversity Institute (SANBI), it is the first project of its kind to be undertaken at a national scale in South Africa. An important component of FishforLife is the citizen science web-based platform, where, through the sharing of user-generated ‘catch’ data, FishforLife aims to capture a wealth of information from marine and estuarine fishers across the country with the goal of contributing to ecosystem health by informing appropriate management of linefish resources. This online platform will also provide independent recreational fishery databases to angling associations and research institutions. “The website will be an easily accessible portal through which data can be entered and interesting and current information on fish conservation status, angling good practice and other news can be disseminated to participants,” says SANBI Marine Programme Manager, Kerry Sink, who conceptualised the FishforLife platform. Angling is popular among every socio-economic class, age group, race group and gender, with an estimated 2.5 million active participants. It is also an important economic activity as it supports retail, tourism and service industries across the country. For many it provides a crucial way of connecting with our mighty ocean. Yet, due to South Africa’s extensive coastline and the dispersed nature of the fishery, recreational catches have not been effectively monitored or addressed, nor accorded the priority that it should. The future of recreational angling depends, above everything else, on healthy marine ecosystems and strong fish populations. John Duncan, Marine Programme Manager of WWF-SA believes that recreational fishers and ocean enthusiasts have an important role to play in the future of South Africa’s nearshore fish stocks. He describes FishforLife as, “An exciting way for citizen scientists to contribute to the wellbeing of these species”. Funded by the WWF Nedbank Green Trust, FishforLife will be an online portal to increase public understanding and appreciation of marine biodiversity while supporting responsible angling practices and conservation efforts. FishforLife is not just a one way flow of data. Apart from contributing to a national database on the state of fish resources, the website will be an information portal to empower recreational anglers. It will be a source for disseminating best practice information to promote improved angler practices and reduced fish mortality. The project will also raise awareness about threatened marine species and strive to catalyse an appreciation for the value of MPAs in protecting important and vulnerable species. 2015 is drawing to a close and many of the Participants in the Retailer / Supplier Participation Scheme are reaching their target dates for their sustainable seafood commitments. These include sourcing seafood from origins which are Marine Stewardship Council (MSC) certified for wild capture fisheries or Aquaculture Stewardship Council (ASC) certified for aquaculture species; on the WWF-SASSI Green-list, or involved in a credible Improvement Project. An Improvement Project means that the source fishery or farm is not yet sustainable, however are implementing an action plan to become more sustainable in their practices. These are the fisheries and farms that require continuous support from the market in order to achieve their sustainable objectives. Ultimately, the fisheries and farms that are in an Improvement Project would end up either certified as sustainable or on the WWF-SASSI Green-List. WWF-SASSI realises that for some key species it is not currently possible to bring an entire sector under improvement, therefore it has developed Procurement Strategies specifically for tuna, salmon, prawns and the key South African “Linefish” species. These have been published on the WWF-SASSI website under the work with fisheries. These Procurement Strategies support the implementation of best available practices within the relevant production sector. The Participant will adopt these specific strategies to ensure that, regardless of the broader sector practices, their own suppliers are implementing best available practices. Support your seafood retailers / suppliers in providing the market incentive for fisheries and farms that are improving their practices. The year has been a long and difficult one for small-scale fishers. 2015 was mostly characterised by uncertainty with regards the small-scale fisheries policy. Not only did the fishermen grapple with the derailed implementation of the policy, they were also confronted by a sad reality of the interim relief permit system for West Coast Rock Lobster being prolonged for the tenth time. This interim permit system was introduced back in 2004 as a temporary arrangement of allocating fishing rights to marginalised communities. Numerous complaints from the community-based fishers’ organisations and by individual fishers have not helped to avert these frustrations. Compounding these problems is the fact that the availability of the catches for important linefish species such as snoek has increasingly become unpredictable, which also raises serious livelihood concerns. For example, fishers along the Kogelberg coast often do not catch their linefish quota because they regard going to sea for linefish as a ‘wasteful process’ due to the high cost of fuel in return for a small catch. The reality is that implementing an ambitious policy, such as the small-scale fisheries policy, is a very complex task and fishers’ expectations will never be met in a single day. This is why – since the middle of 2015 – WWF South Africa has been working closely with the Kleinmond fishers to implement an action plan of improvement projects. The aim of these projects is to help this community prepare for the policy implementation and to improve their resilience in the face of livelihood challenges. Of the seven projects co-planned with the community, three are already being implemented in collaboration with the newly formed women’s co-operative. In July 2015, with the help of the Overstrand Local Economic Development office, WWF-SA supported the establishment of the women’s co-operative which consists of nine fisher women and a few fishermen who are linked to the women. This co-operative is a registered entity with the company and intellectual property office of the Department of Trade and Industry. “Women are the pillars of fishing communities and their hard work behind the scenes is hardly ever recognised or acknowledged. Through the women’s co-operative, we hope it will bring the community together so as to increase their own bargaining power in the fish market,” said Mkhululi Silandela, WWF-SA small-scale fisheries officer. A key role of the co-operative is to co-ordinate the new restaurant value chain project by purchasing the catches from the fisherman and selling directly to the selected restaurants at an agreed price. This value chain project has two major objectives: to provide tangible market benefits for the Kogelberg fishers and to improve the co-management of the Kogelberg’s small-scale fisheries. The first project is around providing training to fishers which is aimed at improving the fishers’ ability to participate in co-management when the policy is fully implemented. Towards preparation for co-management, there is a focus on establishing a community structure that must be represented in a multi-stakeholder platform with government stakeholders so as to participate in decision making and account for the activities of its members. A working relationship has already been developed between the fishermen and the Kogelberg Biosphere Reserve marine working group and this structure is likely to become the Kogelberg coast co-management structure when the small-scale fisheries policy is fully implemented. Launched on 5 October, a second project includes the introduction of a mobile-based catch monitoring system. Using an integrated information management system (IMS), this pilot project will provide opportunities for more fishermen to be linked to the restaurant project through this mobile phone technology. Currently the IMS is only used to register the catches but plans are in place to develop further modules that will make life easier for fishers, such as providing fishermen with a trading platform for their catches. The third project underway is the implementation of an internal control system which will ensure that the women’s co-operative – combined with broader community structures to come with the policy implementation – have effective traceability systems in place. Implementing traceability in the Kogelberg small-scale fisheries will boost transparency and provide the fishermen with new opportunities in both the formal and retail market. Looking ahead, 2016 promises to be an exciting year as the Department of agriculture, forestry and fisheries has planned several policy implementation steps, and WWF-SA will continue with the current project implementation. The rest of the action plan projects for 2016 consists of four environmental and fair labour practice projects which will focus on core environmental issues where the fishing community will be involved. WWF-SA tries to ensure that all these projects will give fishers opportunities to establish small companies to offer community-based marine research services as well as combat poaching. The main aim is not to proliferate many co-operatives but to see different community entities such as the women’s co-operative working in cohesion and investing their income into community development. Also in October, WWF-SA employed a local project co-ordinator – Thelisa Mqoboka – to work in the Kleinmond area to support all the fishers, starting with the women’s co-operative. Her role will be to support the fishing community to implement the improvement projects, together with several other side projects to assist them in sustaining themselves. Fishers are encouraged to approach Ms Mqoboka at her office in the Kleinmond harbour to enquire about the improvement projects that would interest them to get involved in. Making waves – the marine team is growing! As our projects and networks expand across South Africa, so does our diverse team. Meet the three new pandas, who have signed-up for the new and exciting projects. 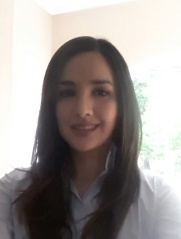 Robin Adams is the new MPA Forum Coordinator – a new position, developed in partnership with DEA: Oceans and Coasts. Robin hails from CapeNature and brings with him a wealth of on-the-ground MPA management experience. 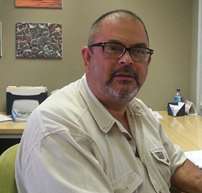 He previously managed DE Hoop MPA and worked with SANParks on the Table Mountain MPA. In his new role, he is still based at CapeNature and is leading the development of a permanent forum for MPA stakeholders to address challenges in the sector, share knowledge and improve capacity development. Thelisa Mqoboka has been appointed Small-Scale Fisheries Project Officer; she will be working with Mkhululi Silandela and leading the on-the-water work with the Kleinmond fishing community. 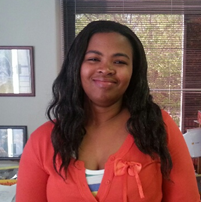 Thelisa is no stranger to working with fishers, she joins the team from the Department of Agriculture, Forestry and Fisheries (DAFF) where she was working in stakeholder engagement. Thelisa will be based in Kleinmond. Zaida Gangat is the SASSI Extension officer and will be leading on the expansion of our WWF-SASSI programme into Gauteng. Zaida has a background in Law, Communications, Journalism and Marketing, and will channel this into establishing and growing the WWF-SASSI brand. Gauteng is the economic hub of South Africa and a foodie’s paradise where the most seafood in the country is consumed – the best catch is often filleted and dressed on the plates of the province’s busiest restaurants. Because of the ever-increasing demand for seafood in the province, there is a growing responsibility for consumers, suppliers and all other stakeholders to monitor, question and be selective about what is caught, how it is caught and what ends up on a plate. 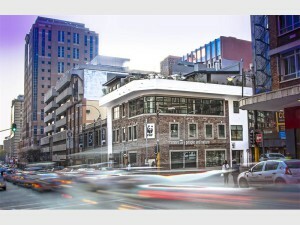 In October, pocket guides in hand, the WWF-SASSI team extended its reach to the landlocked province and setup office in WWF’s new 6-star green building in Braamfontein, Johannesburg. The Gauteng office has already become a hub of activity with the Ecomobility Challenge, external environmental events and the NGO’s AGM being hosted there in recent months. This spirit of energy and renewal is reflected in our team, which has has hit the ground running and is already hard at work expanding the volunteer network and filling the 2016 calendar. Keep an eye out on social media for more information on our upcoming event and projects.